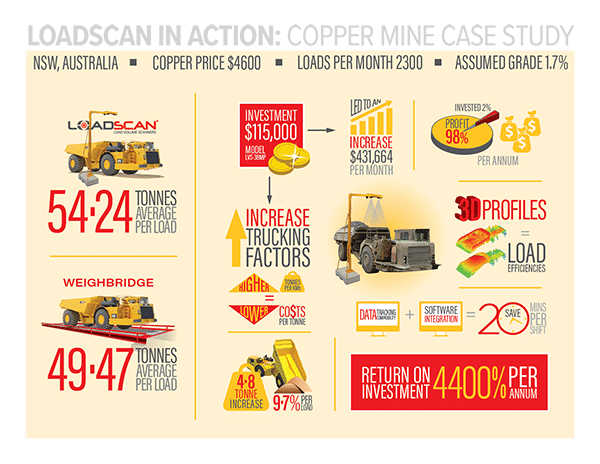 Last year Aeris Resources’ Tritton copper mine operation in Nyngan, NSW, Australia took a leap of faith and became the first underground mining company in Australia to purchase and install a Load Volume Scanner (LVS) payload measurement system from Loadscan and has increased trucking factors by 9.7%. 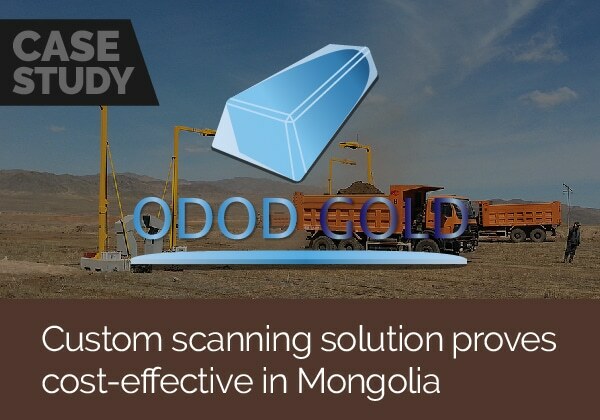 The reason for installing the LVS system was consistent inaccuracy with their previous payload measurement system that was being used to track daily ore production. 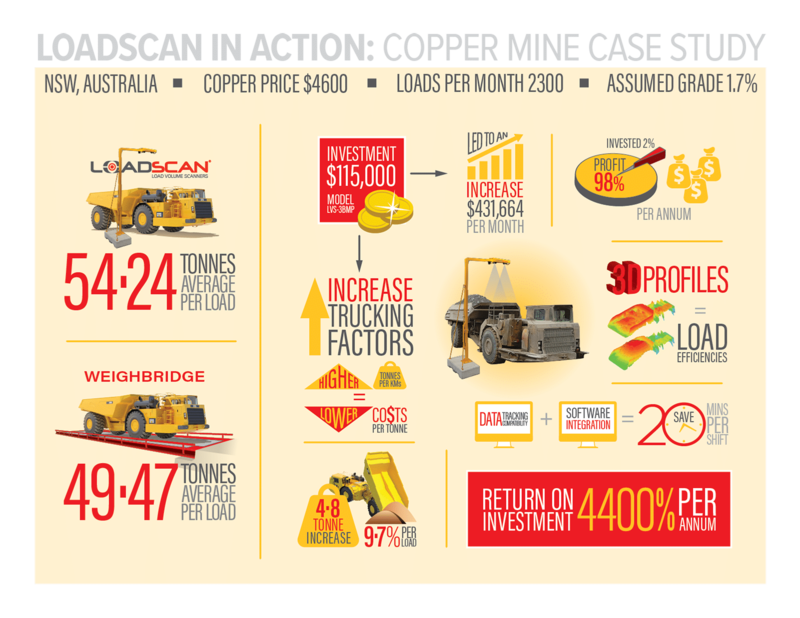 The mine used a combination of paper records along with load weight information. Truck operators were filling out time sheets for each shift, documenting their activities, such as truck ID, load destination, time loaded and time dumped. 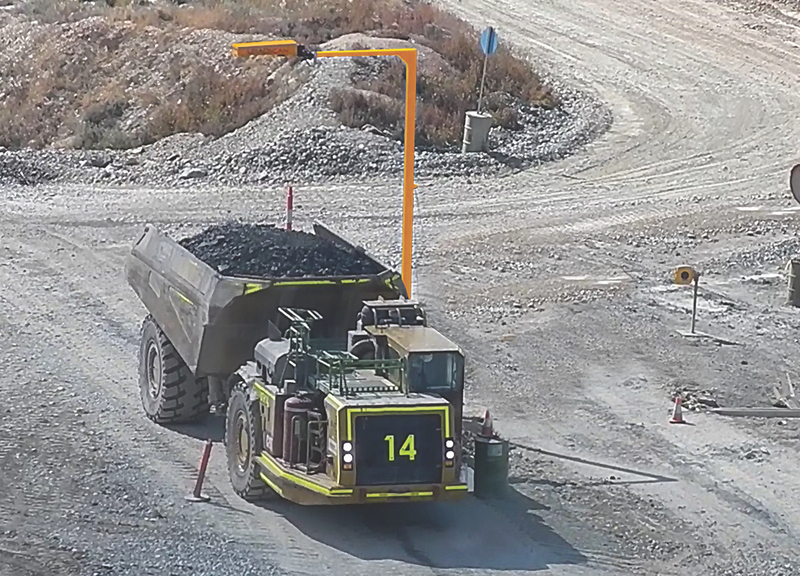 It was then combined with load weight information gained from a weighbridge and uploaded to a production tracking database, all of which the LVS system now does automatically. 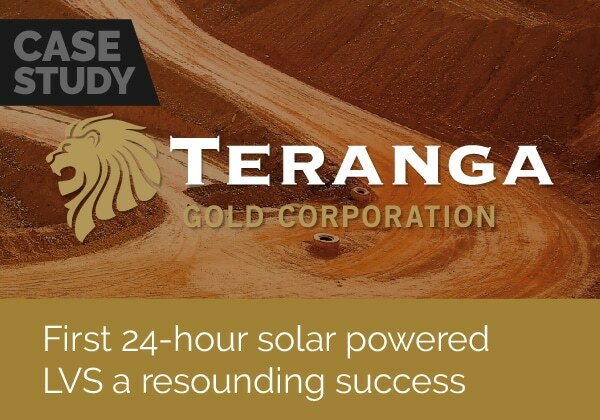 He adds: “There have been two major benefits gained from installing the LVS system, one being the immediate, accurate load volume has allowed for real time feedback to underground loader operators, allowing for informal coaching from the supervisors using the 3D load profiling software. 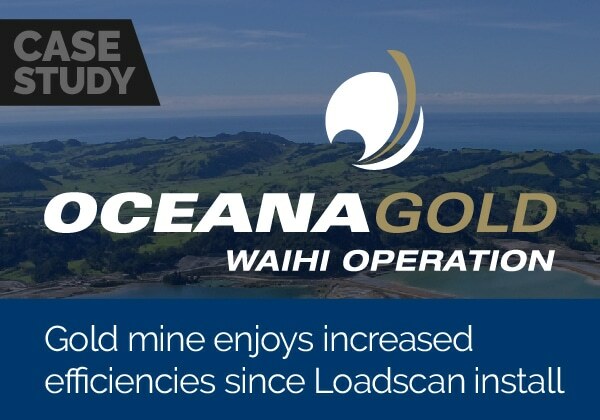 This has resulted in the trucks being loaded to capacity and has increased trucking factors by 9.7%, ultimately resulting in a lower cost per tonne hauled.